You can find RAGONCINO near Lajatico (the Bocelli’s birth place), a few kms far from Volterra, up on a hill with an amazing landscape all around. 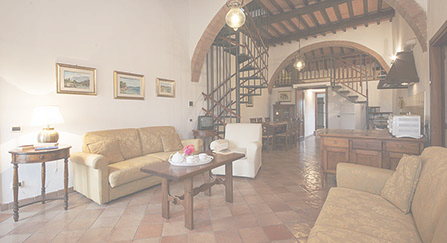 The XIIIth century ancient stone house has been carefully restored and divided into ten independent apartments, furnished in the Tuscan style and provided with all you need to spend relaxing and comfortable holidays. Central heating, air conditioning, Wi-fi, and Tv. And a panoramic pool provided with sun-beds and tents (gazebo). 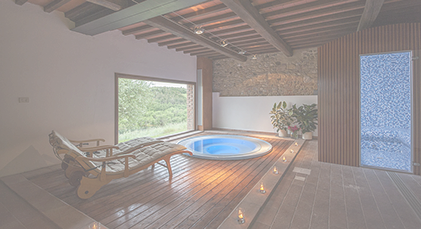 Inside, the restored barn is become a little wellness centre and a small restaurant looking on a charming landscape made of hills, cypresses and medieval villas and villages. 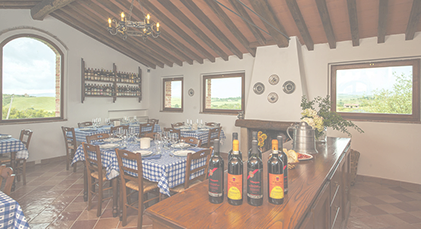 In the little restaurant, with a stone fireplace, on request, it will be possible to have breakfast (only for our guests). 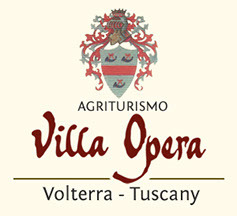 We also organize events to give you the opportunity of tasting local wines and products of the typical home cuisine of this land and also trying our own wine named Villa Opera, our oil Colombaione and other products of our country. During de summer time we use the wood oven for pizza evenings. Due to its location, Ragoncino is the ideal start point to visit the main artistic, historical, touristic and natural places which will be reached by car, or biking, trekking or riding, as you like.